Baldur's Gate is a role-playing videogame based in the Forgotten Realms, a high fantasy Dungeons & Dragons setting. Players control a protagonist they create, who finds him- or herself travelling across the Sword Coast alongside a party of companions, all of whom the player controls. The player unravels the mystery surrounding a sudden iron scarcity, while also uncovering secrets about the protagonist's origins and dealing with attempts on their life. Has less content than BG2 (and perhaps a few too many trash mods, cf Firewine Bridge), but I enjoy the low-level adventuring and the lack of long, linear main quest sections compared to its successor. Like all Infinity Engine titles, the game has an impeccable sense of atmosphere. The Sword Coast Stratagems mods greatly improves the combat experience for all games in this series. Classic. Great game. I do prefer turn-based D&D RPGs, but seeing as those fell out of favor I've taken what I can get. The first serious RPG I ever played. The early game is brutal (especially as a wizard), but as you develop your party and explore the world, so many interesting things happen. The sequel was even better. And I love that they are coming out with a lot of clones of this. Also, I'm a huge Forgotten Realms / DnD fan. 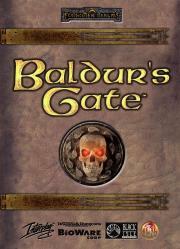 Baldur's Gate while listening to Smashing Pumpkins more or less defined a summer vacation when I was in high school. So I kicked him in the head till he was dead nyahahaha!